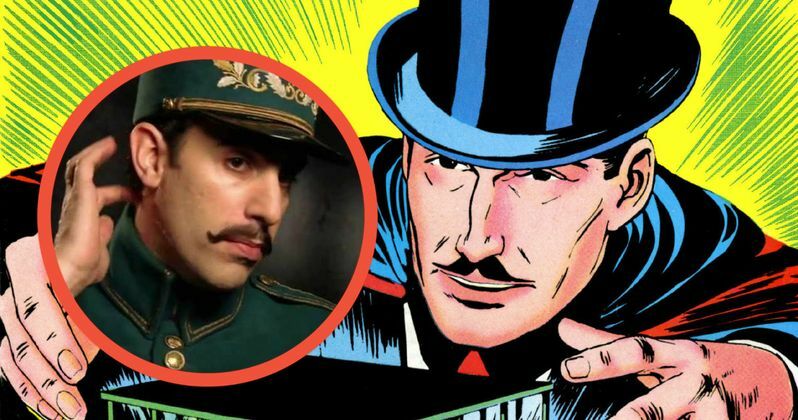 Way back in 2012, Warner Bros. announced they were moving forward on a Mandrake the Magician movie, based on the iconic comic strip created by Lee Falk that debuted in 1934. We haven't heard anything further about this project in the four years since then, but now it seems to be moving forward, with Sacha Baron Cohen coming aboard to star. Ethan Cohen, who made his directorial debut last year with Get Hard, is attached to direct. The original comic strip followed the title character, an illusionist and a powerful hypnotist. He uses his abilities to fight crime with Lothar, one of the strongest men in the world. Universal Pictures produced a 12-part serial based on the comic strip in 1939, but the character has not been seen on the big screen ever since. There was also a 1954 TV movie based on the character that starred Coe Norton, but now it seems Mandrake may finally make his return after all these years. The rights to Mandrake the Magician were held by Disney for many years, before they were acquired by Baldwin Entertainment and Hyde Park. Charles Roven's Atlas Entertainment picked up the rights in 2009, hiring Janet Peoples and David Webb Peoples (12 Monkeys) to write the script. This new report from The Tracking Board reveals that the most recent versions of the script were written by Janet Peoples, David Webb Peoples and Tom Wheeler (Puss in Boots). This report claims that Warner Bros. plans on updating this character for the 21st Century, with the title character being recruited by the U.S. government for a top secret mission. Charles Roven and Andy Horowitz are producing for Atlas Entertainment, with Alan Glazer and Rocky Shepard serving as executive producers. During its various stages of development, writers such as Peter Magill, David Levien, Brian Koppelman, Tom Donnelly, Joshua Oppenheimer, Ian Mackenzie Jeffers and Josh Richmond turning in drafts, with directors such as Mimi Leder and Chuck Russell once attached to direct. Jonathan Rhys Meyers was also once attached to star. Sacha Baron Cohen most recently starred in The Brothers Grimsby and Alice Through the Looking Glass, the latter of which hit theaters on Memorial Day weekend. Etan Cohen made headlines over the weekend by confirming he's teaming up with Idiocracy director Mike Judge and star Terry Crews to release a series of satirical anti-Trump ads. His writing credits also include Tropic Thunder, Men in Black 3 and last year's Scouts Guide to the Zombie Apocalypse.